How much noise can you fit into a small package? We ask our cellphones that question every year, and they reply in various versions of tinny, crinkly, and ear-puckering with very few exceptions. Unless the noise is going directly from the source to the ear (I'm talking about earbuds, y'all), you need at least a little room to get any amount of boom. But there's still that question. How much room? Can it fit in a backpack? Sure. What about a pocket? 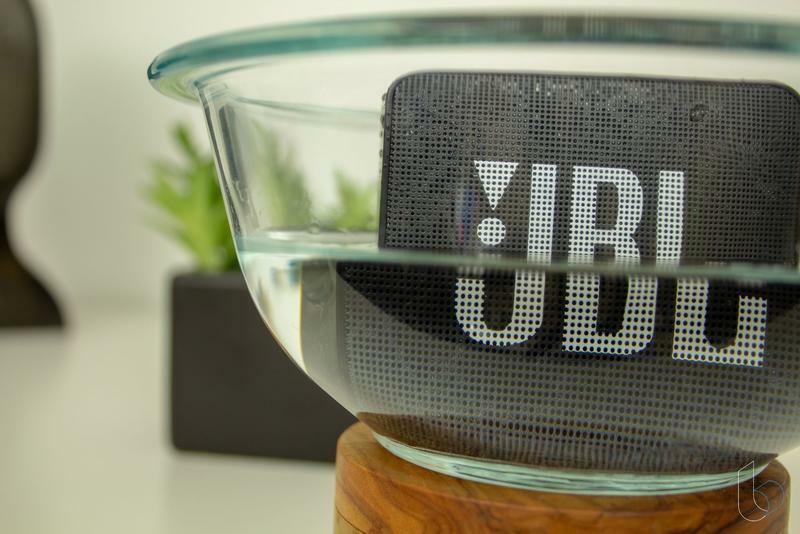 That's the purpose of JBL's GO 2 portable bluetooth speaker, a device designed to output clean, clear sound in just about any environment. 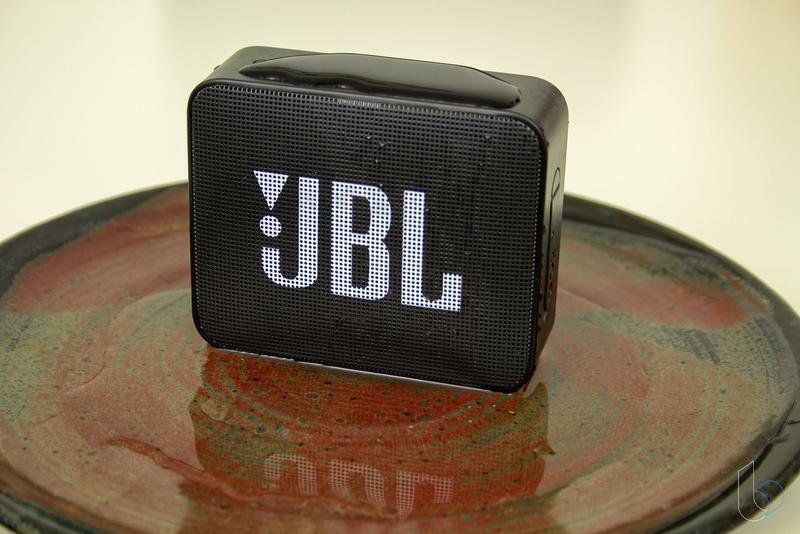 I've been pumping music and podcasts through the JBL GO 2 for a few weeks now. 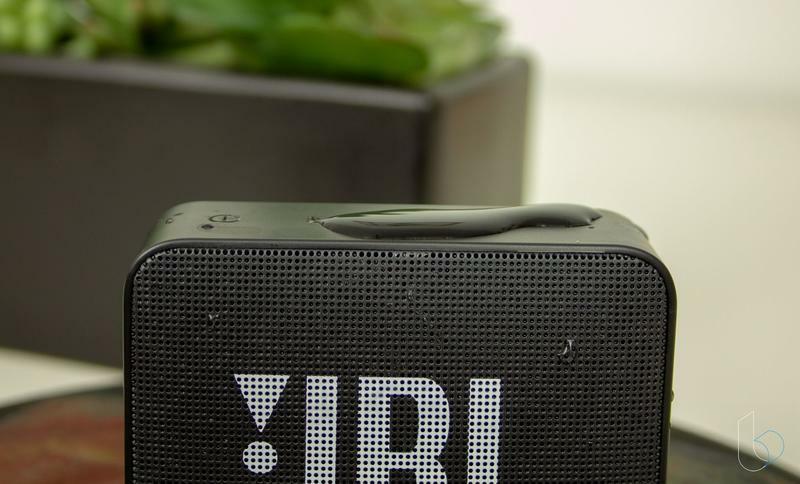 This little speaker is a solid package in more ways than one with just a few shortcomings that are mostly inherent to the nature of the form factor. 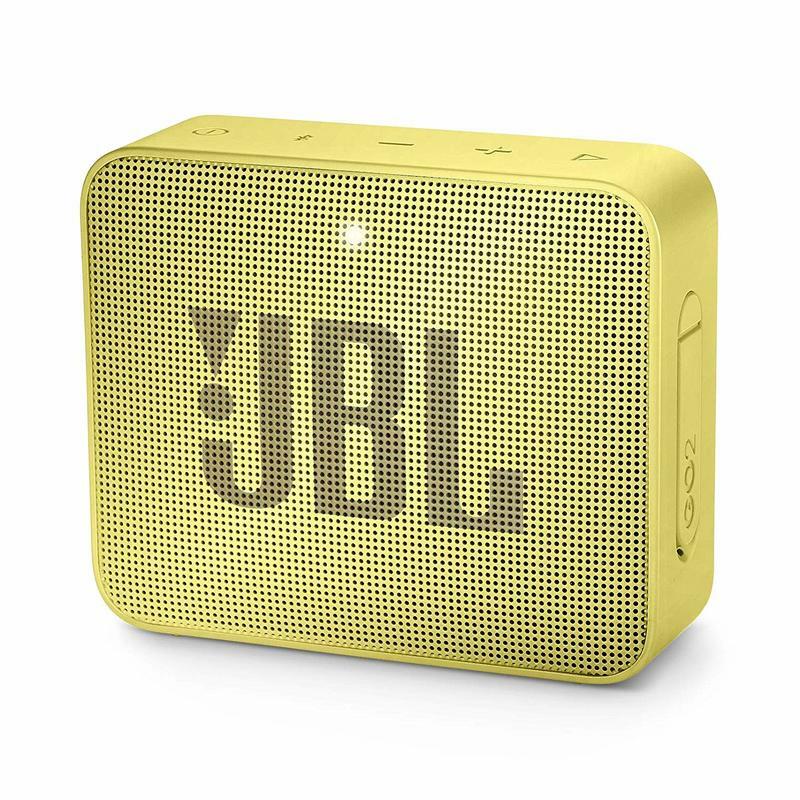 While the speaker I got was black, the style of this speaker is one of the biggest selling points. It comes in a veritable rainbow of colors. Check out that yellow one. 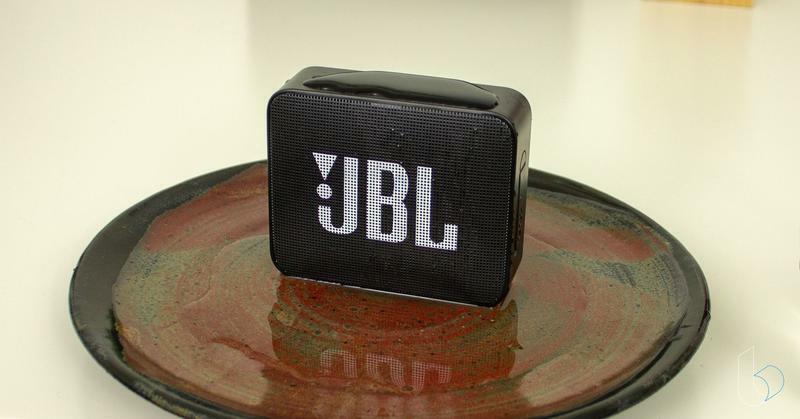 Until technology proves otherwise, this thing is about all the smaller I can imagine a speaker getting. 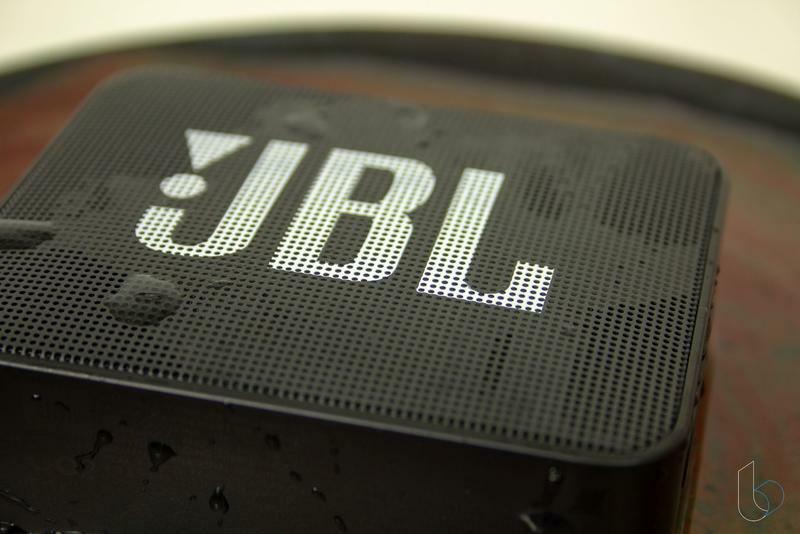 JBL has it listed as being 71.2 x 86.0 x 31.6 (mm). That comes out to about 2.8-inches tall, 3.4-inches wide, and 1.24-inches thick. It reminds me of an Atari or Sega Genesis cartridge. That's not the most relevant comparison, I know. At 184g, it's a little heavier than a Pixel XL 2, but I promise it costs a lot less. But it's a pretty tight little package with very little going on on the outside. One side is solid plastic, while the other is speaker grill from edge to edge. 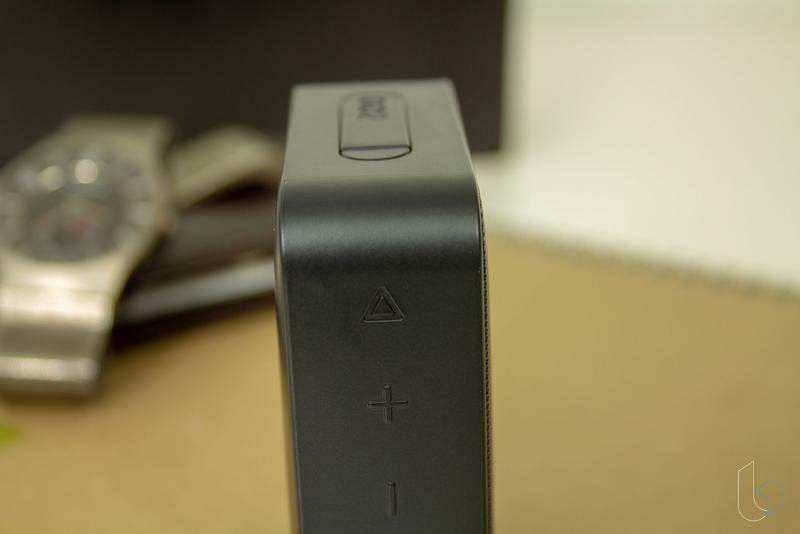 The top is lined with power, play, volume, and sync buttons, while the right side has a sealable port for the USB Micro charger and 3.5mm audio jack. There's so little going on here that it's hard to find much to criticize. It's small enough to be unobtrusive, and the variety of colors assures that whether your style is "matte black everything" or "full-on rainbow," you'll be able to make it work with your gear. Perhaps the killer feature on this little beast is that it's IPX7 waterproof rated. That means it can't just sit next to the swimming pool, it came come with you into the pool and go down as far as a meter for up to 30 minutes and still work. Just make sure that port cover is sealed up tight. During my time using this speaker, it followed me all around the house. It sat next to my stove while I cooked dinner, on the edge of the tub while I showered, and next to the sink while I brushed my teeth. I don't mountain bike or skydive, so I can't tell you whether it's suited to days in the forest or by the lake, but it stands up to pretty rough treatment in the house for sure, and wipes clean without a thought. What will keep it out of a day in the forest is the battery life. 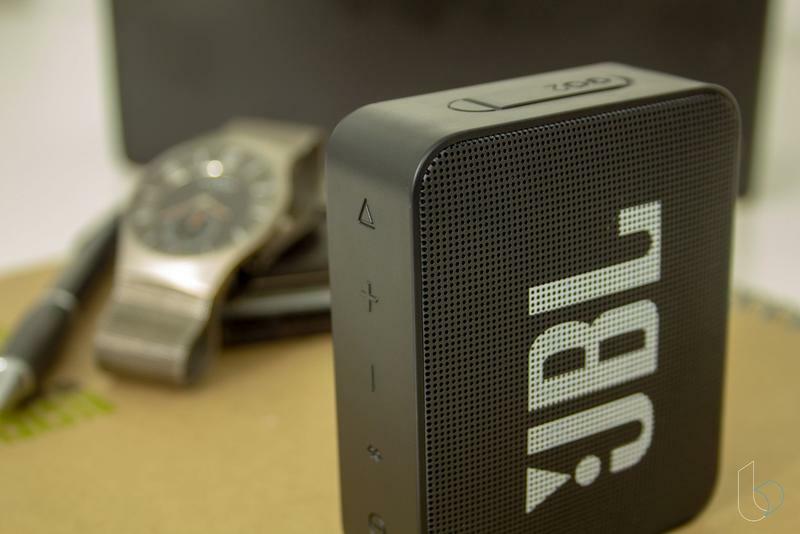 The JBL GO 2 is rated for 5 hours of playback at moderate volume. That's not the worst, but it's not great, either. 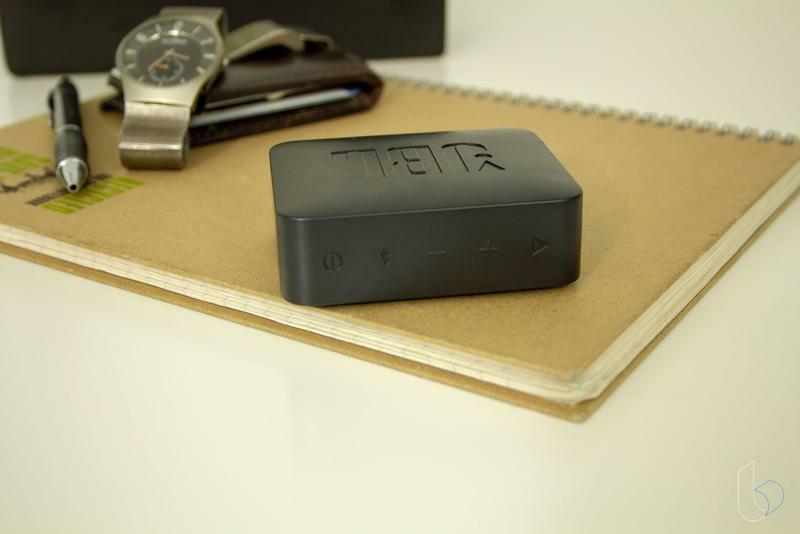 If you're using it around the house doing chores, you'll be charging it every week or so. A day at the pool is going to kill it dead, though, even if it stands up to all the abuse an adventure like that can dish out. The other big downside to the GO 2 is just how few buttons are on it. As I mentioned before, you have power, sync, volume, and play/pause buttons. There were a few times I found myself wishing the GO had a skip button on it. Instead, I ended up cleaning food off my hands and changing the track on my phone. 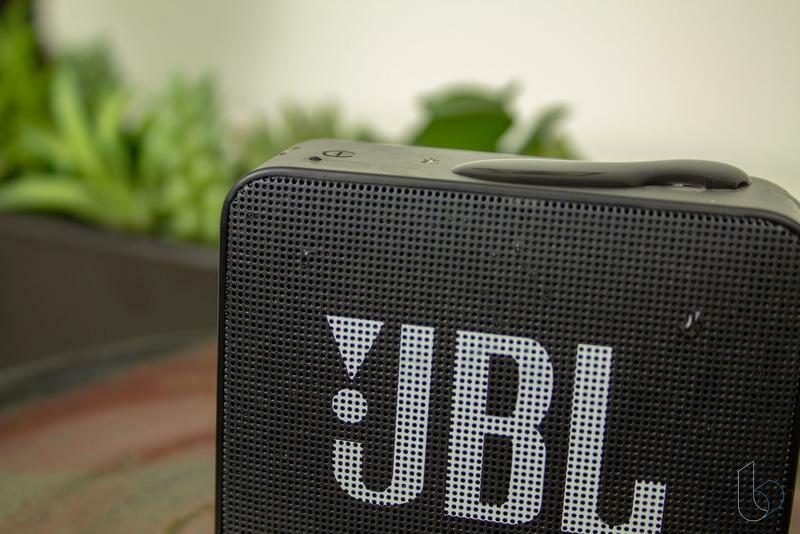 While I can't pretend the sound is going to equal that of a substantially bigger speaker, I'm pretty impressed with the JBL GO 2's sound capability. 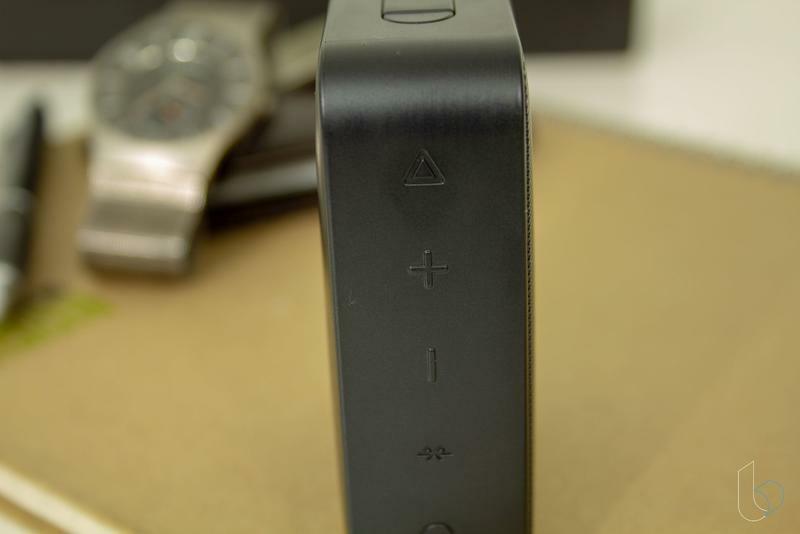 For podcasts, YouTube videos, and other speech-heavy stuff like that, the GO 2 is a rockstar. 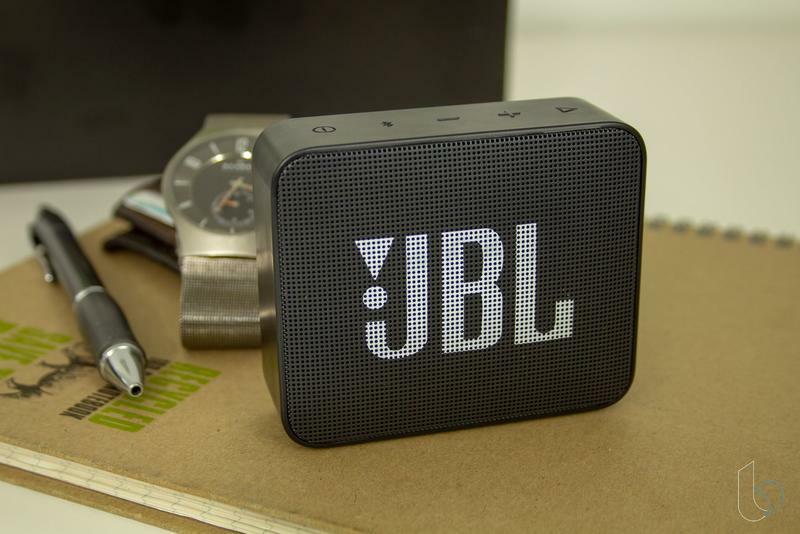 It delivers clean, clear audio with plenty of volume to break through the noise wall created by a running faucet or cooking food. When playing video from my Pixel, I didn't experience any noticeable lag between the video and audio signals, so I was getting a much better viewing experience than I would with just my phone. 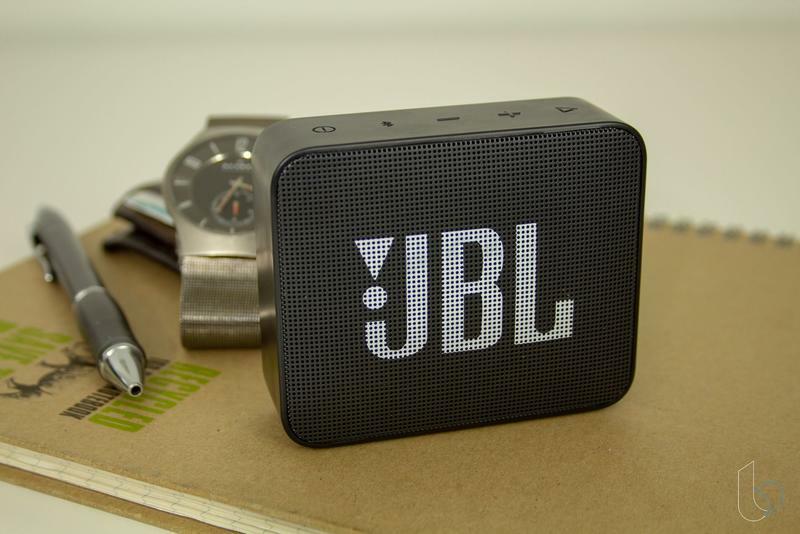 On the music side, it does an admirable job, and lacks in exactly the ways I'd expect a speaker of this size and density to. 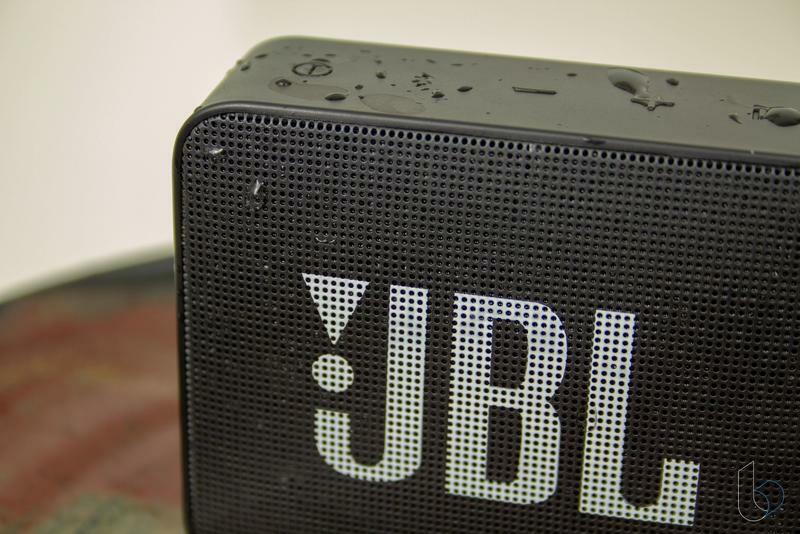 While it does well in the mid-range of sound, it doesn't handle the far edges of sound as well. In a bass-heavy track like Eric B & Rakim's "Let the Rhythm Hit'em," the bass is present but not much more. The drums in Metallica's "Of Wolf and Man" have a surprising amount of punch, but not as much as I'd hope for. The higher end sounds It's a little weird; the speaker sounds bigger than it is, but flatter than that size sounds. With that said, I'm impressed with this thing. The shortcomings are all where I expected they would be. 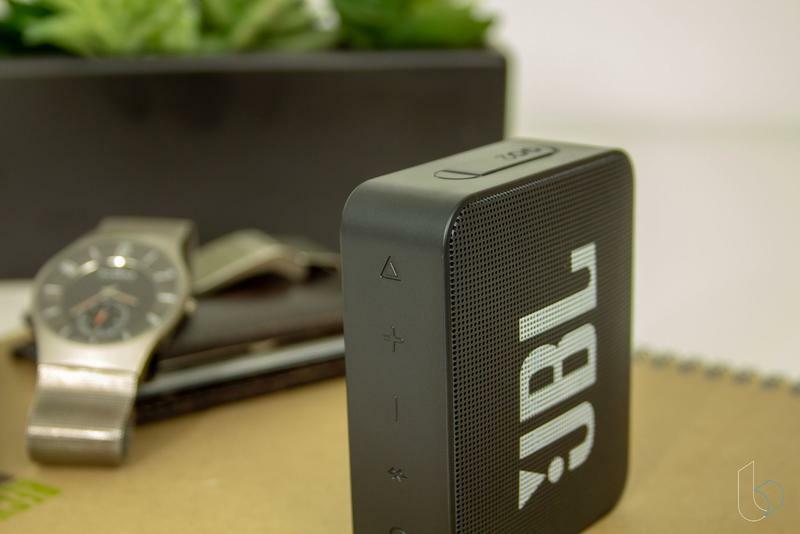 It could use more buttons and bigger sound, but that's because it's tiny. It'll fit in lots of pockets and any bag. It's durable, too. I didn't take it outside for kickball, but I wouldn't be surprised if it held up to some serious abuse. It's a go-anywhere piece of hardware, and that means some concessions. 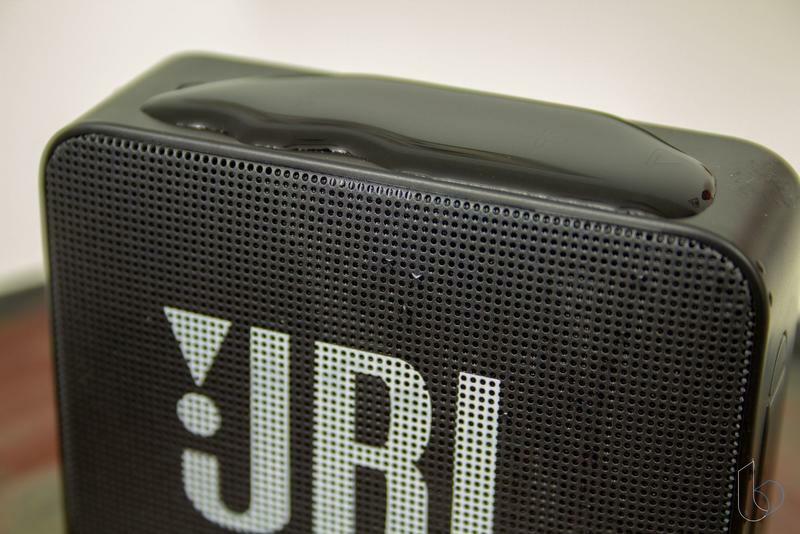 That waterproofing is going to impact the sound a little, especially at this size. But the whole package, at $40? I'll take it, and I'll probably end up buying one for my mom to use out in her garden. 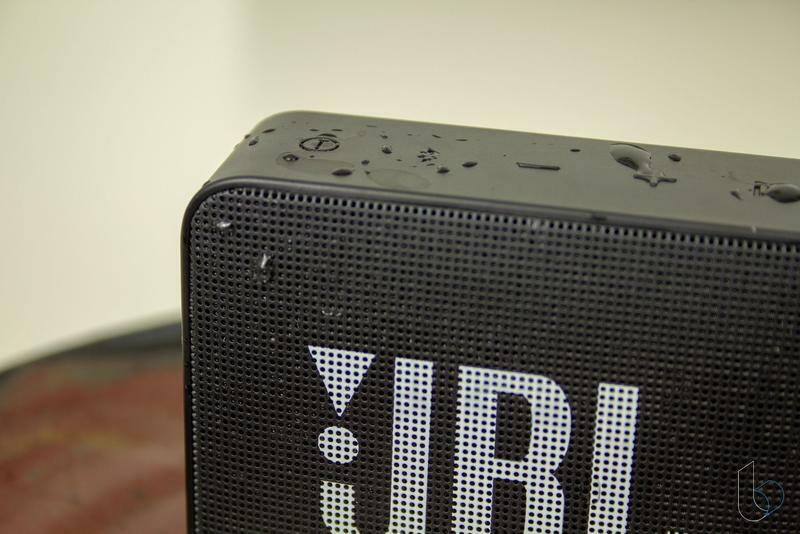 Disclaimer: JBL supplied us with a retail-packaged demo unit and we spent a few weeks using it for podcasts, music, and videos.